Despite warnings from the FDA, some parents are still giving their toddlers unsafe medications. 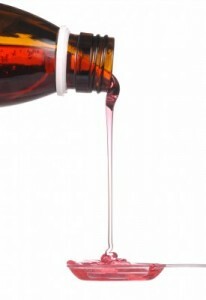 Over-the-counter cold and cough medicines, not made for children under 2, can cause illness or death if used incorrectly. In 2008, the United States Food and Drug Administration recommended that over-the-counter cold and cough medications not be given to children younger than 2-years old. This came after reports of infants and young toddlers becoming poisoned, and some dying, from receiving these medications. However, a new study has found that despite this warning many parents are still using these medications unsafely. In a poll released from C.S. Mott Children’s Hospital on Children’s Health, it was revealed that 61 percent of parents with children under age 2 gave their children these medications within the last 12 months. This dangerously high percentage has many officials worried that more infants and young toddlers will be brought in to hospitals for poisonings from the strong medications. Of the parents polled, families of lower income were more likely to still be using these over-the-counter medications. In total, families that earned less than $30,000 per year answered yes at 80 percent. What is more surprising is that 56 percent of the respondents said their family’s medical doctor recommended they use these dangerous over-the-counter medications. It is unclear whether doctors are not aware of the warnings about these drugs, or if many simple feel the warnings are not applicable. The FDA wants more doctors and physicians to understand how dangerous taking these medications for infants and toddlers it can truly be. “There are challenges to informing parents about this topic,” says Davis, who is also an associate professor of public policy at the Gerald R. Ford School of Public Policy. “The FDA warning is specific to young children, age 2 and under—but parents of those kids may not have heard the warnings issued more than two years ago. Each year a ‘new generation’ of parents must be educated about a wide variety of health care issues for their children.